During my annual exam, the focus is on blood pressure, cholesterol, baby aspirin and lots of immunizations. On the other hand, you perform a real exam. You help me understand how my body is supposed to function and what I’m doing to inhibit the process. The emails you send informing us of new material you have researched and the testing to check our flexibility, memory, cell structure, brain function and on and on are all foreign to the medical profession? My body is in better condition at 75 than when I was in my 40’s. It makes me sad to see my friends suffering needlessly because they don’t realize most medical problems can be alleviated or greatly improved by seeking alternative treatments. Thank you for caring enough to give us your very best! It has been a great experience seeing Dr. Harrigan. I have been seeing him for about a year. I fell much better, more energy and my posture is much more in alignment. I highly recommend seeing him. I’ve got my daughter and husband seeing him as well. Everyone at Synergy Wellness makes me feel like I am part of an extended family, always smiling, happy, fun and helpful. You are a “full-service Chiropractic practice” treating the mind, body, spirit and diet. Whenever I have a medical problem, there is usually a treatment or herb that will help me feel better. You provide numerous programs at the office and send emails to medical websites which provide essential information to ensure our bodies continue to function properly. You are concerned about our well being even after we leave your office and that is very commendable. Don’t know any medical person that is so concerned about their patients’ health, only you. I am almost 74 and on no medication. I don’t take any shots or do all the stuff the doctors tell me I should be doing “at my age”. Chiropractic adjustments, healthy food, exercise, herbs, massage, acupuncture and a positive outlook are the tools for a stress free, healthy, happy life. Help for Lissencephaly, CP, Epilepsy and More! “OMGosh I am ecstatic! Yesterday Mason had appointments with the Hemotologist due to iron deficient anemia and Endocrinology for his hypothyroid. Lots of labs were taken and a treatment plan discussed for both depending on the lab results. An iron transfusion was most likely the plan of action for the Anemia and increase in meds for Thyroid if needed as well as some ex-rays/bone scans to check his bone health. SOOOO I just got a call from the Hemotologist who said she even triple checked that somehow the labs didn’t get mixed up or miss-marked… his labs were NORMAL… NORMAL!!!! She loves his diet (she said we should be bottling and selling it..lol) and took notes on his supplements because she was so impressed how we had turned things around for him. In this world of “Lissencephaly”, “CP”, “Epilepsy”, “CVI” etc… “Normal” is not a word I get to hear often :) :) Thank you Dr. Tim Harrigan for all you have done for my little man and helping me figure out what his body needed :)” -Sarah M.
One of the things I miss the most about our care in Tucson! LOVE Synergy Wellness and Dr. Tim Harrigan, what a difference he has made in Mason’s health and wellness.. and continues to do so as he’s still sending us supplements and ready to answer any questions I have… even across the country :)” – Sarah M.
Just wanted to let you know that the adjustment on Monday made a significant improvement for Naomi. She started turning her head to the left almost instantly & within days was lifting her head up for longer periods of time. Thanks! – Sarah W.
I’m thrilled to report that after yesterday’s adjustments on my right shoulder, unplugging my ears, traction, etc …. this is the first day without an excruciating headache in well over a month!!!! A month of pure HELL! Thank you so much for getting to the root of the issue and providing me relief and hope again. Wow! What a great day. Many blessings to you and the family for a fun and UNEVENTFUL weekend! “Wow last week was a tough one. I thought I was coming down with a bad cold. Then I was so miserable and coughing from my toes that I thought maybe it was bronchitis. Actually, I think I had walking pneumonia. My chiropractor Dr. Tim Harrigan put me back on the road to recovery with a good adjustment and supplements. I’m on the mend….hate being sick !! Thank you Synergy Wellness !! !” -Marie F.
Thank you for all you do for so many! So glad to have finally found someone that makes so much overall sense with regards to a healthy way to approach good health! Where has all the “COMMON SENSE” gone in the world! -Nancy S.
This has been an amazing year and I thank you for all you have done to help in bringing me such improved health! Feeling very blessed! – Ruth Anne O. Thank you! Just a huge THANK YOU for sharing your wealth of knowledge and skill with me (oh yeah and my family). I’ve learned so much from you over the many years we have known each other. I have many things to be grateful for and realize my quality of life is better because of your help and guidance! Yesterday we had a ton of raw broccoli leftover and knew I needed to use it up fast so I searched for recipe ideas. Something NEW!! Since I am still on Phase 1 of the Inflammation Diet I opened the recipe book, “1° of Change” that you gave me when it first came out. I use that so often that it’s always sitting on the counter. Found the perfect option and enjoyed broccoli soup. Thank you SO MUCH! I cannot begin to express to you how grateful I am to have met you and for the many the things you do for me! -Megg G.
Hey, thanks for the Broncafest. I took the pills and they really do work. Last two nights I’ve slept all night without coughing. –Debbie W.
Dr Harrigan, Have received your book, thank you very much. Am so impressed with the first & 2nd chapters, & all the research you have done, & of all the things that we as citizens should know. Imagine our Surgeon Gen saying “the American diet was the major cause of death in the US” & you are trying to fix that, thru this book & your practice. Looking forward to reading every page —& sharing it where I can. -LaVone C.
Wanted you to know that with just two cold laser treatments, my range of motion in my right age is better and less pain. Thanks – Paula C.
Just had my blood pressure checked so I can get my new Cpap machine and it was 112/78… Very happy about that. I will be asking him to lower my MEDS even more. He has been very supportive of moving towards getting me off the medication over time. Thanks – Enrique F.
So Lucky to Have Found You and the Girls! I wanted to thank you for the amazing work you do, adjusting and keeping my weird spin in alignment. Every once in a while I have this fleeting thought that I no longer have near as much pain or struggle when I get out of bed in the morning, due to stiffness in my back. That doesn’t occur very often anymore. Though I seem to have some new stiffness in my hands which has no known etiology yet, I sometimes forget that what you seem to be doing for the rest of my structure, is fantastic. So lucky to have found you and the girls! I tell everyone I know what a phenomenal and comprehensive clinic you have with the many fantastic services. It’s so much more than chiro and hard to convey that to people if they aren’t willing to open their minds for a minute. Thanks, again. –Kim H.
Dr Harrigan,—-Found my old energy! Cleaned my house this morning & felt like I WANTED to do it, even feel I still have some to spare. What a wonderful feeling. -LaVone C.
Relaxed and Ready to Take on the Day’s Challenges! I just wanted to say thank you. I almost called and cancelled my appointment this morning, but I am so glad I didn’t. It has been a rather stressful couple of weeks for me, and last night I got some news that really threw me off balance. I am rolling with it, but I was dreading coming to work today. After my adjustment I feel much more relaxed and ready to take on the day’s challenges! I’m so glad that my friend recommended your practice to me and that I didn’t wait any longer to come see you! -Melody B. Feeling Great After the Adjustments Yesterday! Much of my pain is gone today, hooray! -Ruth Anne O. Everyone Wants to Know why I am so Healthy. I Just Want to Start off by Saying I FEEL GREAT! I am continually thanking God for this answer to prayer! Thank you for your commitment to the health of your patients, your diligence is appreciated. I am now able to see clearly how my problem was actually 3 problems (possibly more) working together and creating one big problem! The overall body aches, joint pain and fatigue are gone and my energy has improved immensely. Treva S.
Relief from Regular Headache Pain! I thought you should know that for the first time in three nights I slept soundly without a severe headache. Thank you! -Mary D.
Thank you for all you do to help improve our quality of life particularly in the physical realm. I would not be able to celebrate this 32nd birthday to the full without the chiropractic care I have received from this office. Chiropractic adjustments have been one of the only tangible components that has made me feel better in my journey with Chronic Fatigue Syndrome and Lyme. It has truly aided me and made me feel and heal better. I thank God for giving us wisdom and learning the true wealth of the power of physical healing that is already stamped in our bodies. – Ruth L.
I’m Finally Free of Outbreaks! I went to Dr. Harrigan for help with a rash/out break I had been intermittently suffering with for years. He cautiously suggested I try the Biofreeze to help with the pain and itching. He also recommended an infection protocol comprised of various supplements. In less than a week, the Biofreeze helped heal the existing rash. In approximately a week, the supplements had stopped the rash from reoccurring. After only a month, I have been able to drop back from the original protocol to a maintenance protocol. I am finally free of outbreaks! Dr. Tim, THANK YOU! I and my husband so appreciate you and your staff! – Nancy A. Finally in the Right Place to Change the Way I Eat! I just wanted to say thanks to you and everyone in your office. I still have a week to go on the purification, but it feels like I’m done. I was finally in the right place to make some major changes in the way I eat. I know I will continue eating this way even after the program. I will add a few things here and there, but not really much. I’m looking forward to trying spaghetti squash pad thai (can’t have the peanut butter yet) and eggplant lasagna (can’t have the cheese yet). I love spaghetti squash spaghetti, I add zucchini and mushrooms…yummy. One of my favorite foods before was mashed potatoes…now I can have mashed cauliflower and I’m just as happy – no guilt comfort food, what could be better than that! I found that I can still munch whenever I want (especially afternoons at work) I just changed the food; instead of trail mix or crackers, I have cut up raw veggies…peppers, carrots, cucumbers, etc. I keep some cut up in containers in the refrigerator so I just have to grab one – and always have one in my lunch bag at work. I lost 13 pounds and 3/4″ from my stomach the first week…that was a lot of fast food and diet coke bloat! It is funny and probably a bit weird, but the second week I didn’t lose anything. I weighed exactly 259.8 Monday, Tuesday, Wednesday, Thursday, Friday and Saturday mornings. I’m so not discouraged and I really planned on changing my lifestyle, not necessarily losing a lot during the program. For my total badness and full disclosure, I have not been exercising and must start that immediately. I just keep playing the I’ll do it after…thing. I now have the treadmill in a spare bedroom where it won’t bother my roommates so it should be easier, I can do it anytime. I’m great with the water…over a gallon every day. Sorry, this was a lot longer than I had planned. I really just wanted to say thank you, from the bottom of my heart. -Traci H.
I learned some new ways of cooking/cutting/presenting vegetables to avoid the “I’m tired of eating that” challenge. Homemade pestos were a game changer. What we love the most is that today, Day 22, we are not craving naughty foods. We really feel like our brain has been reset. I was presenting in Phoenix today and walking through a food court I was not remotely interested in any of the pizza, burgers, etc. Another cool habit, is that we both have come to like eating some raw veggies, like cucumber and celery, with pesto dip. Even thought the 21 days are over, we are carrying over with many of the fundamentals such as eating smaller meals and more of them. Mental and Hormone Changes are Happening -and my Skin and Hair feel so Soft! Amazing!!! I’m so very greatful. I’m feeling nourished – just need to bridge up that diet. But overall – getting better each and every day with the pills. Muchas gracias! I’m so glad you are so dedicated to serving us all! I especially want to tell you how much I appreciate you. There’s not a whole lot of really sincere folks out there – you are a rare gem in the desert! Especially here in Tucson. It’s our best kept secret here! You and Dr. Andrew Wilde! But it really isn’t a secret – you know what I mean! – righteous living is what you practice and preach. You are my inspiration – to even get close to it – to be in your presence -blesses me each and every visit! Thank you mucho doctor! – Eva V.
OMG! Or, maybe I should say OMT! I feel SOOOOOOOOO much better!! Looking forward to stretching this afternoon, but taking it easy. -Nancy A.
I am very thankful to God that some how he directed us to you, and I am looking forward to know you better and get an answer to my medical problems through your expertise, you seem to be very professional, and I was very happy and thankful to see the willingness to treat your patients the same as you treat your family members, thank you very much. -Carolina K.
Friendly and competent Staff. Always feel great after adjustment! -Patty S.
Dr. Harrigan has a real desire to educate people on true health and how to go about getting as close as possible to that rare state. His drive to keep his own education ongoing and his willingness to share that information makes him a “rare bird indeed”. I have found his gentle loving nature a refreshing balm in our “need to rush” world. The treatments I receive from him keep me taller and walking straighter with less pain. I am truly grateful to have Dr. Harrigan and his staff in my life! -Leah M.
Dr. Harringan was very informative. Knowing that he was interested in taking time with some of my past records gave me confidence in his interest. Stacy was very personable which made me feel at ease and want to converse with her even more. -Suellen H.
My husband soon decided that he too wanted to be part of this adventure in wellness, and he also responded very well to adjustments. As we both continued with adjustments we decided to proceed with the necessary protocol for heavy metal detox and again found ourselves stronger, more energetic, and realizing we were becoming healthier than we’d been in years. Through our months at Synergy Wellness we’ve been blessed by Dr. Harrigan and his staff. They have surrounded us with support, encouragement, caring and kindness. We never imagined that in less than 6 months we’d be doing so well. Our thanks to all of you at Synergy Wellness! -Ruth Anne O. Coming out of Synergy Wellness. Dr. Tim Harrigan is absolutely amazing! I always come out feeling so much better and ready for anything. Thanks Tim!” -Russ S.
I was urged by a few dear friends to seek help from Dr. H. I was overweight, fatigue, sickly, and weak. I went to visit his office around Thanksgiving. I figured this is my last shot at a healthy life. I was greeted warmly with smiles from every member of his staff. I was treated with such grace, understanding, and professionalism. My husband and I both were seen and they ran various tests to see exactly where we were at when it comes to our health. Ask you can imagine I was of the charts, in pretty bad shape. Within three short months, I have gotten my life back. I have more energy, sleep better, and have really improved my, over all eating habits. I am an education junkie and have read everything Dr. H has given me to read. He empowered me with the education and information to empower myself. For that you I thank you. Because you changed my life, I will be able to change my families life. Forever grateful. –Lisa G.
Last October I went through the full nutritional testing process and I have to admit, I was a bit apprehensive. Now, I am so glad I chose to have the tests. The test results were in a very easy to read and understand report that I still refer to from time to time. I was very surprised and relieved by the findings. Had I continued on the same path, before Dr. Tim helped me, I’m sure that my overall health would not be as good as it is now. The great thing about the report is that it identified my nutritional deficiencies and showed me what health issues I needed to work on before they become major health issues. I’ve made even more lifestyle and dietary changes and I feel AWESOME! I am almost 60 years old and I truly feel better than I did at 35! Working with Dr. Tim has been a lifesaver for me and several others in my family. –Becky H.
I definitely want to tell you what an amazing seminar you and your “family” held. Thank you so much for being you – a loving giving person whom I feel honored to have in my life! There is so much information you want to share, it obviously is hard to decide just what to put in the program. You “done well”, Dr. Tim…thanks again! – Leah M.
I’ll be calling to get some more thermo-sea. Interesting results so far. Brain fog lifting and feeling more motivated. –Debbie W.
Just wanted to let you know that the adjustment on Monday made a significant improvement for Naomi. She started turning her head to the left almost instantly & within days was lifting her head up for longer periods of time. Her poops were getting a little weird before the adjustment & it seems she’s back to normal too. –Sarah W.
Great staff and Tim is maybe the best and most competent chiropractor I have ever gone to in 40 years. -Doug B. Seem to have an awesome approach to each specific problem. -Christina M.
Looking forward to my followup visit so that we can formulate a plan of action after reviewing the test results with the doctor. -Herb L.
Thank you Dr. Harrigan and Stacey! I can already feel a difference after my first adjustment! I slept through the night which is a first in years for me!Thank you, Thank you! I’m so excited for my future “back”, I could jump up and down, but I’ll take it easy for now. -Kari W.
My story began this past spring when I decided to put in a vegetable garden. I got out the rotor-tiller and began tilling in a small area. The ground was harder than I expected and soon felt a twinge in my right shoulder and had to stop. By the next day, I was unable to use my right arm and had tremendous pain in my arm and shoulder. I got an emergency appointment with my primary care physician. He referred me to a specialist, Hand, Elbow and Shoulder. They took x-rays and told me I had bone spurs and carpal tunnel in my shoulder and arm, and sent me for more x-rays at the radiology firm. The specialist, unable to help me, referred me to a pain center. Three weeks had gone by – all I had received was pain killers. I had never been to a chiropractor in my life and was very apprehensive. My daughter told me that one of her coworker’s partner was a chiropractor and got Dr. Tim’s phone number for me. I soon had my first appointment with Stacey and her physical test. Dr. Tim started adjustments on me that same day, May 21st. By July 1st I was feeling a lot better. July 9th we went on the Purification Program and by the program end I was feeling better than I had in years. The more I think about what happened with the previous doctors and specialists, the more upset I get. At this time I have no sign of carpal tunnel or bone spurs. -John D.
On a scale of 1 to 5, I give them a 10! I am happy to share my testimonial about the benefits I receive from Dr. Harrigan and his staff. I have benefited from this caring group of people who are genuinely interested in helping you feel better and stay better. I was diagnosed years ago with a chronic neck problem. I would get severe headaches that originated in the back of my neck. As I aged, these headaches started happening more often and lasting longer. Doctors offered no remedy. Due to my weight I also started having problems in my knees and feet. Dr. Harrigan’s treatments have dramatically improved these conditions. I still experience them since I have physical damage to the underlying bone due to years of abuse, but the problems are well managed because of the loving care here. They occur less frequently and much less severely. Oh, Dr. Tim does have something to help that weight problem. I just haven’t braved that yet. I was reluctant to come to Chiropractic care. I heard about frequent, aggressive bone cracking, neck cracking and having to disrobe for sessions. Not here. Occasionally I need a minor neck crack and Dr. Harrigan asks if I’m willing, but I learned that I feel better afterwards. Usually, I just receive gentle treatments and wonderful stretches that make my back, shoulder, knees and neck work and feel better. Did I mention how fantastic and loving the staff is? I’ve been coming here for about five years now and have found that there is no better place to be when you want to feel well, stay well and be in the company of caring, competent health professionals. On a scale of 1 to 5, I give them a 10. Darryl S.
Everyone was very nice and genuinely concerned. Thank you! -Kirk S.
Very nice office and staff. -Pamela D.
All of the staff I interacted with (Dr. Harrigan, Stacey, and Tess) were wonderful. I am very excited and optimistic about getting some help with my health. -Rachael N.
You do a wonderful job, I can imagine many of your clients wanting to have a part in the program due to its real benefits. -Eliot R.
I am excited to get my health back on track. So I can have a better and healthy life. I want to get off all of my medication’s. And go with the natural way.-Zelda K.
Very happy I found Synergy Wellness! -Shelly E.
I loved my time today. Even though I went through multiple tests, it was done with ease and efficiency. I so look forward to gaining better health through this warm hearted, loving family of professionals! I feel the dots are finally connected for me! – Margaret B. Very helpful on first visit looking forward and excited to come back and change how I feel. – Jeremy J.
I am always made to feel very important and cared for. It has been a joy to watch this team of professionals grow and become a health and wellness practice that truly cares for their patients entire well being. They truly live up to their name! – Treva S.
High level of care and expertise! Very excited to be working with such a level of care and expertise! I feel confident that now I will be finally able to put together all the pieces of the puzzle in optimizing my overall health and well being. – Dorrit P.
The education value of my visits is priceless-gold stars all around! – Mike M.
I am very happy with the staff and results. – Chris P.
I’m very happy with my progress! I’m very happy with my progress! The staff and Dr. Harrigan are friendly and down to earth. – Julie W.
You guys are awesome already. Best customer service I have seen ever. – Mark B. Keep doing what you are doing. – Greg S.
No need for improvement. Am very satisfied with the way things and the people are!! Very friendly and nice! !—Lerrie-Ann A.
Tim Harrigan is an Incredible Doctor!! Amazing!!! Tim Harrigan is an Incredible Doctor!! I recommend all my friends and family to see him and get healthy!! ;) – Lisette L.
Truly amazing things happening here!! I wanted to tell you that in the week and a half that we have been doing the purification program Mark has already lost over 20lbs and will be seeing his Dr. next Friday and having lab work done, we’re hoping he can get off of his cholesterol medication! :) AND Mason is doing AMAZING, he is interacting and showing us things we never expected. Like kicking his brother every time he walks by, REACHING out to “get” his sister, waving hello and good bye to his teacher… truly amazing things happening here!! Thanks much!!! – Sarah R.
This was the best, most patient-focused, helpful, informative, friendly first visit to a health care provider I’ve received in Tucson. Very professional, efficient, with a clear, easy to understand base line exam and preliminary results. Well worth the time and the special fee. Thanks. – Bob M.
For someone with a cough and slight sinus issue, I actually feel pretty good. My crippling headaches 8+ times a day for weeks are minimal now for the last 2 days. After the Tuesday adjustment my cough has been “productive” and I’ve improved on everything! Super exciting! THANK YOU for taking such great care of me and my family. You’ve greatly improved the quality of our lives! Bless you Tim. – Megg G.
I am so thankful I met you and your team. I don’t know when I felt this good. Thank you for all you do in health. – Gwen H.
Since I saw you last, I have no …. NO tingling sensation in my hands and feet. THANK YOU, THANK YOU, THANK YOU, THANK YOU – Dru D.
I really enjoy going to my appointments because the staff is very friendly, they get to know the patients on a first name basis. I have never had to wait long to be seen. Also, the office smells good and has a soothing atmosphere. Lastly, i’m thankful they provide water bottles, that’s helpful in hot weather! thanks! – Danette M.
I have used chiropractic care for years off and on but was never really given the information to help me fully understand why chiropractic care is so important. I was also told that I have “chronic” problems but was never told what those problems were and if there was anything that could fix them. I now feel like I have a better understanding and I’m on a path to improved health. – Duane M.
You are such a miracle worker! “You are such a miracle worker! I have been raving about you to family and friends. Anytime I hear anyone speak of any ailment my response is always, “Dr. Tim Harrigan can fix that! :-)” – Rosalind P.
“We have an amazing naturopath chiropractor that has helped numerous friends of mine with pain. Might be worth giving him a call! Dr Tim Harrigan at Synergy Wellness” – Jill H.
“I love chiropractic care! Went in with horrible allergies & really bad lower back & hip pain. An hour after my adjustment allergy issues are gone & I am walking pain free! Thanks Dr. Tim Harrigan & Synergy Wellness!” – Janelle B.
I have a lot more energy and am able to take longer walks and do work outs without pain. I am very pleased with my results with Dr. Harrigan. If this were your practice, what would you do differently? “Honestly nothing. I think all that you do is very important to the health of everyone who comes in.” Kathy B. Thanks for all that you are doing Dr. Tim! I’ve been really good about refraining from sugar, even when I crave it these past five days and the craving have definitely decreased. I’ve only had headaches one day. Thanks for all that you are doing and all the information that you are giving Jason and I as we are on this journey. –Sarah W.
Oh wow! Andrographis saved my life!!!!!! I’ve been outside doing yard work for hours and going back out now. Friday midnight illness peaked and I was sicker than ever. Saturday 6 hour work day plus 3 hour nap and I was alive again. Today best I’ve felt in over a month. I reduced my dosage and started my husband on the Andrographis today. I BELIEVE BROTHER! I’m a believer!!!! Amen. LOL- Seriously though that stuff saved me. –Megg G.
“Thanks everyone for the encouragement for my PT test. I was above the minimums but things were not looking too good, then I pulled a 12:06 on my run (best time ever by 20 seconds, not bad at 245 lbs) and pulled off over an 80 on the test. Special thanks to God for hearing/answering my prayers, Dr. Tim Harrigan for the cleanse diet I do before each PT test (lost over 20lbs every time), I was in a bit of a tough spot – left over from my year of full time school and work, now I have some breathing room on future tests. –David H.
I am beyond excited for the changes that I am seeing in my son in such a short time. Truly amazing what the body can do when it is working correctly and not against itself. -Sarah R.
With Dr. Harrigan’s treatment, I feel great! I found at 85 you can still feel good. With Dr. Harrigan’s treatment of proper alignment & adjustments, suggested exercises & his encouragement for proper diet & supplements, I feel great. -Lavone C.
Thank you to Dr. Tim Harrigan and Synergy wellness for helping me get healthy and thin! “So we are on the last day of our 21 day cleanse and here are some things I’ve learned. I finally mastered peeling and dicing a garlic clove, cooking veggies can be fun, I’m stronger than I realize and I feel so much better and have more energy! My skin looks better and my hair is better and I’ve lost 10 lbs. Justin lost 11lbs. I’m currently wearing my favorite pair of jeans than I couldn’t even think of getting into when I started the cleanse and now I have to wear a belt which by the way is on the tightest hole (time for a new belt)! I will continue the shakes from the cleanse because they are jam packed with veggies and nutrients! I haven’t missed sweets as much as I thought and the one nickel sized piece of dark chocolate I did indulge on several days ago gave me a bad headache (not worth it)!! The only thing I missed dearly were eggs (oh eggs how I love thee), which is great because they are healthy and I can add them back no problem!! I am continuing to learn and lose and will continue for at least another 15-20 lbs!!! Oh and Jordyn has benefited immensely, she has no eczema issues like she was having and no digestive issues, she’s a happy baby! Thank you to Dr. Tim Harrigan and Synergy wellness for helping me get healthy and thin!” -Heather B. Just 24 hours later I no longer feel like an extra on The Walking Dead. “I love my chiropractor. I’ve been run over with a horrible cold, saw Dr. Tim Harrigan at Synergy Wellness yesterday for an adjustment and new supplement, and just 24 hours later I no longer feel like an extra on The Walking Dead.” -Kirstie A. “Went to the Chiropractor yeaterday & slept great last night & woke up feeling a TON better. Think this cold is out the door. Thanks Dr. Tim Harrigan & Synergy Wellness!” -Janelle B. “Justin just got back from his first bike ride since starting the cleanse and he was so excited he didn’t originally think he would do well but he had more endurance than he’s had in a long time! Now he’s pumped for his race next month!” -Heather B. You both are SUCH a blessing! We SO appreciate yours and Stacey’s amazing knowledge, help and support, you both are SUCH a blessing to Ted and I and we are so thankful to have found Synergy wellness! -Sara G.
Want to say thanks again for all what you do, we appreciate all the the knowledge you share and also keeping us in top shape. –Sverre S.
I had my cholesterol levels screened today at CVS/Minute Clinic. The drop in my LCL level was pretty amazing – from 168 to 113. I’ve attached the letter I’m sending to Dr. England which outlines the results ofcholesterol screenings I’ve undergone over the last four years, three in total. When you review the results, I think you’ll agree that the test results on 7/12 stand as an outlier, even though my HDL ratio has improved each time. More importantly, I think the purification diet did have the desired effect of reducing my overall cholesterol level and improving my HDL ratio. So, success! I’ve been maintaining aspects of the diet – more vegetables, chicken and fish, virtually no dairy, little to no refined sugar, and organic products where I wantto avoid excess preservatives, colorings, etc. Last, I have been noticing an improvement in my overall energy level, particularly when I run. Some of this I think is due to losing a few pounds, but someof it I’m sure is due to an improved diet. So while I didn’t experience any of the highs or lows during the purification diet, I am seeing my energy level get back to where it used to be. And that, after all, was what got me started down this path in the beginning! Thanks for your guidance during this process. You are what you eat. Cheers! -Mary K.
I have known Dr. Harrigan for 3 years, and we have focused mainly on nutrition. I am skeptical when it comes to medications, and will avoid them at all cost. I have learned from experience over the past 3 years, that he knows exactly what he is talking about with supplements…whether it’s a hormone imbalance or an issue with your gall bladder. He has NEVER steered me wrong. My latest was high cholesterol and it was at the point that I needed to lower it, or go on medication. I have heart disease on both sides of my family, and I took it very seriously, to the point I was scared. I have done 5 Standard Process cleanses, and have been successful with each one in losing weight and detoxing my body, but I would usually go back to bad habits after months or even a year. This time along with my cholesterol, I was really listening to my body and I was totally committed on taking the supplements that Dr. Harrigan recommended at least a “year ago.” I had a blood analysis done in his office during my cleanse and was told that I had fat in my blood. Visual proof! I went on the cleanse, took the Flo and Balance religiously and went back to the cardiologist on day 16 and my cholesterol went down 100 points and this was in just a week and a half of supplements! I was astounded and so relieved and excited…it is so awesome to have faith in someone’s advice. I totally trust him in all aspects of my overall health…and to top it off he is a great guy. :) – Joni B. It was only a simple adjustment… But JEEZ I feel 110% better afterwards!! Dr Tim, Thank you so much for sharing your skills and jest for health & wellness. I truly appreciate what you do for me (and my husband). There’s really no words to thank you. I tell many that I’m sure I wouldn’t be walking the planet and doing ALL that I do in my life if it were not for Dr Tim!!! Until someone can experience great Chiro care they just don’t get it. My neck has full range of motion again. I have my “brain” focus back. No pain in my back/lungs area. And I’m already on hour 16 of my day with a few more to go. I actually feel wonderful right now. Thank you so much!! You are a true blessing in my life. I couldn’t do what I do without YOU! – Megg G.
I’ve been going to Dr. Tim Harrigan here in Tucson. He’s a chiropractor, but does homepathic medicine. He doesn’t believe in prescription drugs. I was scheduled for carpel tunnel surgery, but canceled cuz I read and heard so much controversy about it. My hands hurt so bad I wore gloves all the time to keep them warm to help relieve the pain. I had trouble picking up a piece of paper it was so painful. They were numb but hurtso bad I can’t describe the pain. After my first treatment with him, the pain was gone. My fingers go numb once in a while, but that’s when I haven’t been to see him for a while. I have an appointment with him today for pre diabetes. Don’t want to get on all the meds that are being prescribed. Have referred him to other people that are real happy with him also. Give him a call and see if he can help you. He is awesome. He has supplements (natural) and I truly believe in him! He is a friend on FB and GREAT GUY! He doesn’t just try to sell you something. His receptionist has Crones Disease and she truly believes he saved her life. Give him a try. – Almeda K.
My story began this past spring when I decided to put in a vegetable garden. I got out the rotor-tiller and began tilling in a small area. The ground was harder than I expected and soon felt a twinge in my right shoulder and had to stop. By the next day, I was unable to use my right arm and had tremendous pain in my arm and shoulder. I got an emergency appointment with my primary care physician. He referred me to a specialist, Hand, Elbow and Shoulder. They took x-rays and told me I had bone spurs and carpal tunnel in my shoulder and arm, and sent me for more x-rays at the radiology firm. The specialist, unable to help me, referred me to a pain center. Three weeks had gone by – all I had received was pain killers. I had never been to a chiropractor in my life and was very apprehensive. My daughter told me that one of her coworker’s friends was a chiropractor and got Dr. Tim’s phone number for me. I soon had my first appointment with Stacey and her physical test. Dr. Tim started adjustments on me that same day, May 21st. By July 1st I was feeling a lot better. July 9th we went on the Purification Program and by the program end I was feeling better than I had in years. The more I think about what happened with the previous doctors and specialists, the more upset I get. At this time I have no sign of carpal tunnel or bone spurs. – John D.
Yay! My counts are not only up they are the highest in months….thank you Dr. Harrigan you are the best chiropractor ever! Thank you for providing the tools to build my immune system. – Anna G.
The purification went extremely well, and I feel a lot better. Not to mention I learned to make some new recipes as well. I lost 22lbs while I was on the program, and I would like to continue with my new lifestyle. I would like to thank you and Stacy for helping me along, and guiding me to make better choices. My friends and family members have noticed a change in me as well, not just the weight loss, but my general awareness and energy that I have. – Art N.
Thank you for helping my Dad so much!!! Last night he went to the UA football game with us. I was concerned about him getting from the parking garage to our seats, it was a long walk and we parked on the 3rd level so there were stairs involved. When I asked him if he wanted to take the elevator he said no that he needed to take the stairs. He made it just fine. Flashback to 3 years ago when we all went to a basketball game, my Dad couldn’t even make it 1/2 a block we had to go get the car to pick him up outside the arena. In a short time he has improved his quality of life dramatically. 100% of that improvement is because of you and your treatments. THANK YOU!! This morning he is out dove hunting with his 3 grandsons, he wouldn’t be out there if it wasn’t for you. – Susan V.
I absolutely recommend Dr. Tim Harrigan. Good guy, too. – Jana H.
Dr. Tim Harrigan is legit! I’m seeing him 2-3 times a week as well and love it. He makes the necessary adjustments on your spine and joints so your body can heal itself. He works magic. – Mike L.
Okay I did enough whining so I’ll give you some good news. Today is the first time in months, maybe years that I haven’t had to take ibuprofen to survive menstrual cramps. – Dawn B.
I met Dr. Tim a couple years ago. For the most part, I have had good health. I was interested in the cleanse program his office provides. After going on the 21 day cleanse, I felt incredible. I appreciated the support and encouraging emails I received. I have now done the cleanse 3 times and plan on including it in my yearly health program. I appreciate Dr. Tim and his staff. – Brett M.
Exceptional care in a compassionate, professional and knowledgeable practice. 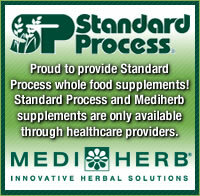 Dr. Tim is very knowledgeable and a fantastic partner in improving your health. I’ve been working with him for 3 years and have learned a lot and seen tremendous improvement in my health conditions. I went to countless doctors to help me find the answer to the source of a medical condition and for the first time in 4 years I’ve seen improvement with his efforts and protocol. He has worked with me on the 21 Day Purification and each time I notice a tremendous improvement. I highly recommend his practice to many friends and know they will receive exceptional care in a compassionate, professional and knowledgeable practice. – Meg G.
He is extremely knowledgeable, has years of experience and is super friendly. I received treatment twice a week for three months and had nearly 100% correction in my spine and forward head tilt. No more headaches and I feel healthier now than I ever have. As a health professional, I highly recommend Dr. Tim and his staff for Chiropractic care. He has treated many of my patients and has changed them from non-believers to believers! – Jamie Y.
I felt balanced for the first time in my life, and after several adjustments I noticed a decrease with my back discomfort, no more headaches, better posture, and my husband even noticed that his allergy symptoms were gone, and he no longer needed his allergy medication! Both my husband and I have been seeing Dr. Tim for one year now, and we could not be any happier with services. Dr. Tim is very knowledgeable not only about chiropractic care, but also about nutrition and living a healthy lifestyle. We tried the 21 Day Purification and we could not believe how much better we felt afterwards; we both lost weight, felt more energetic, our issues with digestion were gone, and we had better mental clarity. We learned so much during this process, and we now know first hand just how much the foods we eat do affect our overall wellbeing. We have recommended Dr. Tim to our family, friends, and pretty much anyone who will listen. We appreciate how personable and flexible Dr. Tim is!! – Priscilla V.
I had been going to Chiropractors for years & wasn’t happy with the ones that I was going to. I started going to Dr. Tim for a hip issue. I was previously told I would need surgery & within months of going to Dr. Tim my hip is much better & healing quite nicely. He has helped me with nutrition & what are the right supplements to take & I am feeling a lot better in my general health. I love that I get such personal care each week when I go in for my adjustment & I get all my questions answered. – Janelle B.
Dr. Tim is a wealth of information! My husband and I started going to Dr. Tim in May with the goal of just feeling better and also for my headaches. My headaches are gone and so are most of my other aches and pains that caused sleep problems. I highly recommend Dr. Tim and I always refer my clients (I’m a personal trainer) to him if they are experiencing pain or are interested in chiropractic care because he is personable, well informed on a variety of health topics, and will improve your health! – Sarah W.
Felt great during the 21 day program! I first started receiving treatment from Dr. Harrigan because he spoke at a mom’s group meeting. I wasn’t in any pain, but he offered nutritional information that I was curious about. I went through chemotherapy back in 2008 and have been on several different anti-depressants, none of which seemed to help. I feel like my body has a lot of poisons in it and I wanted to flush out all the toxins. Dr. Harrigan recommended I go on a 21 day purification program. I followed his advice and during the 21 day program I felt great! I was sleeping better and even ended up losing 11 pounds. I eat healthy on a regular basis, but this program taught me even better healthy snacking alternatives. I didn’t feel deprived. Dr. Harrigan isn’t your standard crack your back kind of chiropractor. He’s very well read on a multitude of health topics and is a great resource to turn to when I have questions. I was really impressed with all of his treatments. He seems to know more and do more than other chiropractors that I’ve seen in the past. – Jane D.
Dr. H. has helped me overcome a leg inquiry and get back to working out. He’s worked with me on becoming healthier and eating the right kinds of foods. The supplement plan he has me on has helped my sleep through the night and reduce the menopausal symptoms. I highly recommend him. – Dawn P.
“Dr. Tim is thorough in his examination and is truly a man of integrity,” – Maryanne M.
“Dr. Harrigan does excellent work on informing you on what to take for body intake and about your health.” – Miguel P.
Dr. Tim Harrigan is great! He helped get rid of my sister’s hip and lower back pain. – Crystal P.
I have received chiropractic treatment from a number of practitioners over my years. I consider Tim Harrigan services the best treatment I have ever received. He has corrected years of discomfort and pain in 6 short weeks. His supplements have eliminated joint pain in my knee. – Paul Call Synergy Wellness and schedule your appointment today. The road to wellness begins here.